Fate/Extella: The Umbral Star is an action video game developed and published by Marvelous. The game is the third installment in the universe that began with Fate/Extra and the second one to be released outside of Japan. It was first announced in March 2016 and released in Japan in November 2016 for the PlayStation 4 and PlayStation Vita consoles; its release in North America and Europe occurred in January 2017. Nintendo Switch and Microsoft Windows versions are planned for release in July 2017 for all three regions. The game’s plot involved the conflict between two factions led by Nero and Tamano from Fate/Extra fighting each other over control of the Moon Cell and the Holy Grail. They are soon joined by a third faction led by Altera soon joins the fight with the intent of destroying civilization as well as Saber from Fate/stay night who wishes to stop the conflict between the three factions. Wikipedia®. Extella – A new world unlike any ever seen. Across the virtual realm of SE.RA.PH, Masters of digital magic commanded their Servants, great heroes and villains of history and lore, to fight in the Holy Grail War. The prize was the “Holy Grail” itself — aka the Moon Cell Automaton, a lunar supercomputer with the power to grant any wish. Though the war has ended, with the Servant Nero and her Master on top, all is not well. Not only is Nero’s rival Servant already leading an uprising, but a new challenger waits in the dark, ready to tear through reality itself to strike at her heart. Nero prepares to defend her new throne. Beside her stand her Master and a few loyal allies. Ahead lies not only an ocean of enemies, but an ancient secret far more terrible than any war… Fate Heads for a New Stage! The famous Fate EXTRA series strikes a path to a new stage with Fate/EXTELLA: The Umbral Star. Many of the fan favorite characters including the ancient Heroic Spirits (Servants) summoned by the Holy Grail, will make their appearances. This game has been reborn as a high-speed action battle where you go against the enemy and their army. You can also take the time to enjoy the deep story of the Fate series. Trainer for the game Fate/Extella: The Umbral Star, you can use it to activate these essential Cheat Codes: Infinite HP, Infinite EM, Infinite Phantasm Cirtuits, Max Moon Crux/ Drive Gauge, Max Combo, Max K.O., Super Speed, Infinite Jumps, Infinite QP, Infinite Experiences. 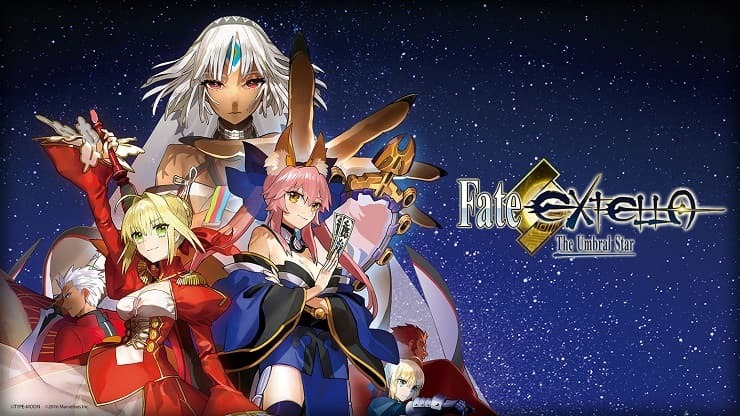 Note: This cheat tool is for the original version v1.0 (2017-08-25) of the game Fate/Extella: The Umbral Star.